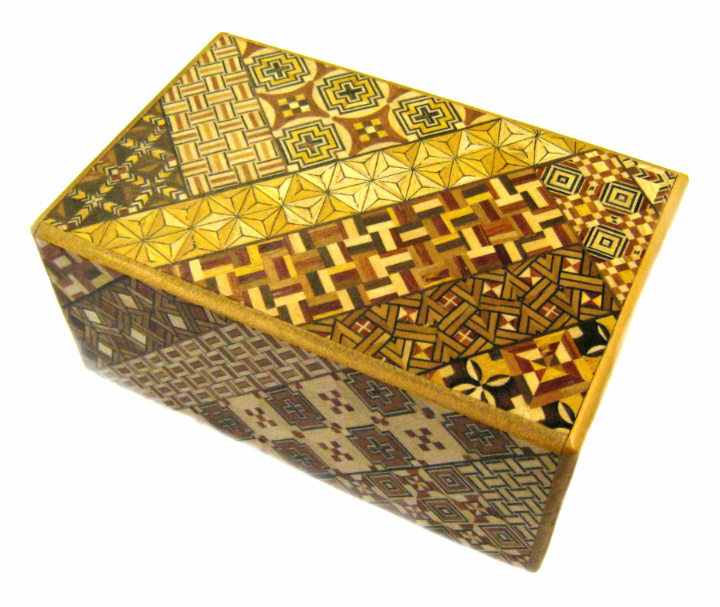 “Himitsu-Bako” is a traditional japanese trick box, made in Hakone. High quality product, unique pattern, the 4 compartments opens in 5 steps/each. Measures: 11,5 x 8,0 x 5,0 cm. This product was added to our catalog on 29.04.2009.